As providers of some of the best platform lifts, among others, we pride ourselves on being up to scratch with all the latest rules and regulations in the industry. It’s a lot to keep track of, especially considering how they change as the years go by. This means that sometimes, you might find a gap or two in your knowledge – which is understandable, we’re only human, right? While it’s understandable, it’s still not desirable to be without the knowledge of these important guidelines, even if the only thing you don’t know is a footnote. For those of you now thinking, ‘wait, is there something I’m missing?’, all we can say is ‘perhaps’, but if there is, there’s no need to panic as that’s what we will be talking about today! So where shall we start? Well, the beginning is always good – even if it is just the basics. So now you know what a lift is, we can go into a bit more detail about all these rules and such, and trust us when we say, there are a few. However, all must be met if anyone wanted to pride themselves on a job well done in the lift installation biz. You can find a full list here, but we’ve outlined some of the more important regulations which must be met if you want to avoid any kind of hazardous situations. Both the safety component manufacturer and the lift installer must assess the likely hazards which face their project and take these into account during the design and construction process. The lift must be built to offer a good amount of space and strength, especially in accordance to the specifications given by the designer. If the lift is for public use, i.e. the only thing it’ll be transporting is people, then you need to ensure there are no obstructions which might impede access by people with disabilities. Lifts must not be able to start if the weight load limit has been exceeded, as well as being fitted with limitation devices – you can never be too careful! All passenger lifts must have their own individual lift machinery. Installers must ensure that the shaft isn’t accessible unless for emergencies and maintenance. All buttons installed in the lift must be clear and located in a convenient place – next to the door is always a safe bet. When it comes to complying with all these rules and guidelines, you’ll come across something called ‘thorough examinations and testing’ and while it may seem pretty self-explanatory, it’s always best to go over it to make sure that you don’t miss anything! A thorough examination is a thorough examination – next! Okay, just kidding – a thorough examination is a systematic and detailed examination of a lift and all of its subsequent equipment by someone who’s qualified to do so. The aim? Well, to detect any defects of course – which are, or could become, dangerous, so that they can be reported in sufficient time for the right amends to be made before they become a bigger issue. You might be wondering what goes into this examination? We can tell you that it may include some testing, if, of course, the person conducting the examination deems it necessary. This person will usually also decide to what extent the test must be taken – whether just the one is required, or the machinery requires a bit more in-depth testing. The thorough inspection might also be supplemented by inspection. These inspections should be carried out in suitable intervals between examinations, and can be done by a competently trained employee of the business rather than having to call someone out – that’s good news, eh! These inspections would include visual and functional checks, and should be carried out at least every six months. You can find out more about these examinations here. 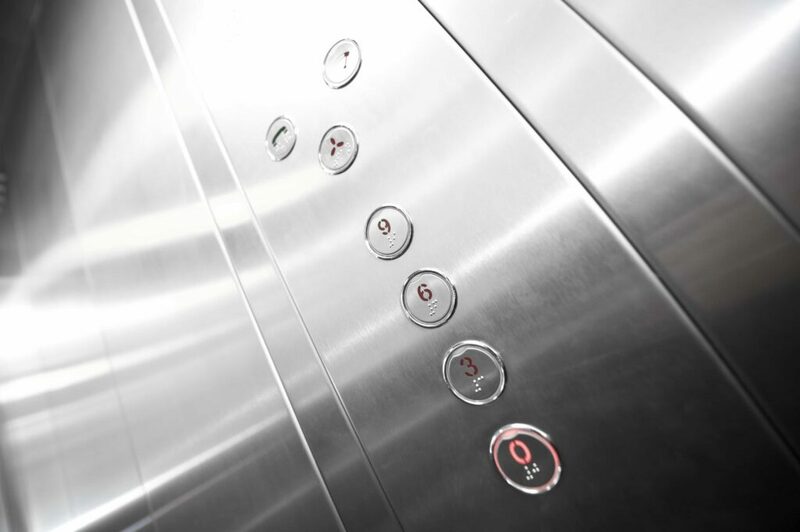 Now, you should hopefully be a bit more up to scratch when it comes to knowing the safety lingo for the design, build and installation process of your lift. Here at Axess2, we provide the very best in all types of lifts, whether they’re going to carry people or packaging – we supply them all! For more information, contact us on 01200 315 025 where you can speak to one of our friendly experts who will be happy to help. For all the latest news, you can follow us on Facebook & Twitter!